The Freemax fireluke tank is highest level sub ohm tank, which have Break the glass forms of atomizer in the past. Fireluke tank adopts the 2 types of performance and changeable on fashion glass tube that hold up to 4 ml and 5 ml of e-jiuce. 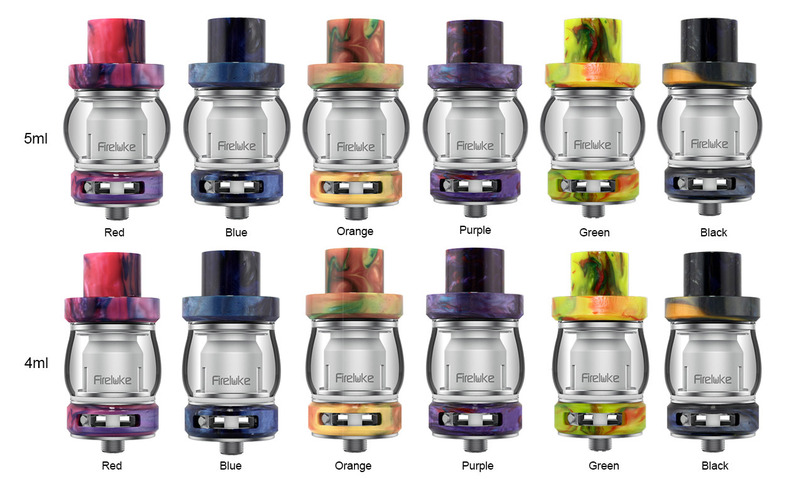 The Fireluke tank is unprecedented strong and adopts 3 Unique engines: firelock 0.15ohm sextuple coil, firelock 0.15ohm duodenary coil and firelock RTA, which make it to be a massive cloud of vapor and excellent taste.